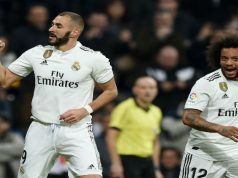 Real Madrid earned a crucial victory at San Mames and moved top of the table in La Liga thanks to a brace from Karim Benzema and another superb performance from Keylor Navas. Rafa Benitez’ men took advantage of Barcelona’s defeat at Celta de Vigo to take the lead in the championship. Their defensive effort was key to upset Athletic de Bilbao in their stadium. The start of the game was open and entertaining, with both teams committing numbers each time they broke into the final third. Aduriz had the first opportunity to score, but Raphael Varane came across to make a perfect challenge and clear the ball. Before the 20-minute mark, Benzema took advantage of a horrible piece of defending from Mikel San Jose to make it 0-1. The defender played a poor back pass to his goalkeeper and the Frenchman was quickly on the scene and finished past Iraizoz. It could have been 0-2 three minutes later as Ronaldo met a loose ball on the edge of the box, but his shot was denied by the keeper. 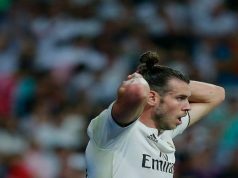 Los Blancos started frustrating Athletic with their superb defending and had two big chances to score before the break. Ronaldo lead a counter-attack that reached Kroos, whose effort went wide of the post. Minutes later, Carvajal delivered a super cross towards Ronaldo. The Portuguese international set up Mateo Kovacic, but the midfield’s shot was palmed over the bar. Keylor Navas saved his team early in the second half as Sabin drove down the left before assisting Aduriz, who slashed one to the bottom corner and was denied by the keeper. Yet, Athletic levelled in the 68th minute as Susaeta drove down the right and sent a precise cross that was headed by Sabin into the bottom corner. Luckily for Los Blancos, it only took Benzema three minutes to put Madrid back in control. Modric played a superb reverse pass into Isco. The Spaniard found Benzema, who netted easily from close range. Aduriz had a big chance to level again as he met a loose ball inside the box and fired a low effort, but Navas brilliantly stopped the shot. And just before the end, Aduriz sent a precise header to the top corner, but Navas again secured the win for Los Blancos tipping the ball over the bar.